One of the biggest tech concepts we take for granted today was essentially unheard of before Facebook launched its Platform 10 years ago. While there were “social networks,” the rest of the web didn’t care much about who you were or who you were friends with. On its 10th anniversary, a series of interviews with Mark Zuckerberg and other team members reveal how the Facebook Platform shook out — and shook everything up. In 2007, Facebook was experiencing unprecedented viral growth thanks in part to its freshly launched News Feed. Given the right skeleton, it discovered people would flesh out a social network with not only their content, but their identities. The blue beast was alive. The scrappy young company could hardly keep up. Yet the team had a hazy, crazy idea that belayed its humble dorm-room beginnings. Facebook didn’t know what people wanted it to build, so what if it let anyone build apps on top? 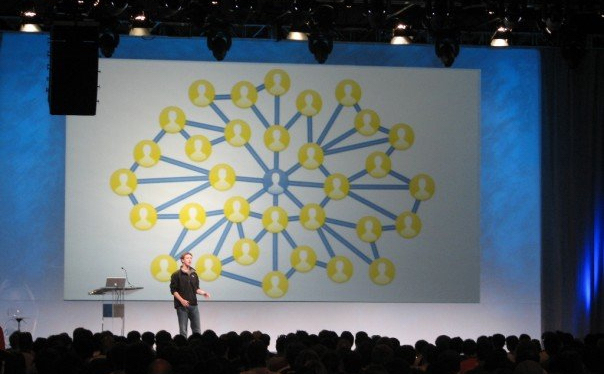 A year later, with the launch of the Facebook Connect part of the platform, it posed another peculiar question: If we let people log in elsewhere with their Facebook account and bring along their interests and social graphs, could any website become “social”? The answers would surprise Facebook’s executives and spawn a legion of new businesses, entrenching the company while changing the internet from a solo experience to a group one. Those same answers would also force Facebook to adapt to unforeseen trends, retreat from unsustainably spammy features and crater some of the new business built on the fledgling platform. Suddenly, Facebook’s exclusive relationship with its users became a tumultuous, bizarre love triangle between itself, the public and its developers. One where the users were put first, even if it meant sacrificing immediate monetization of its site and the existence of some app makers. In fact, employees spent the days running up to F8 frantically updating Facebook’s marketing materials. 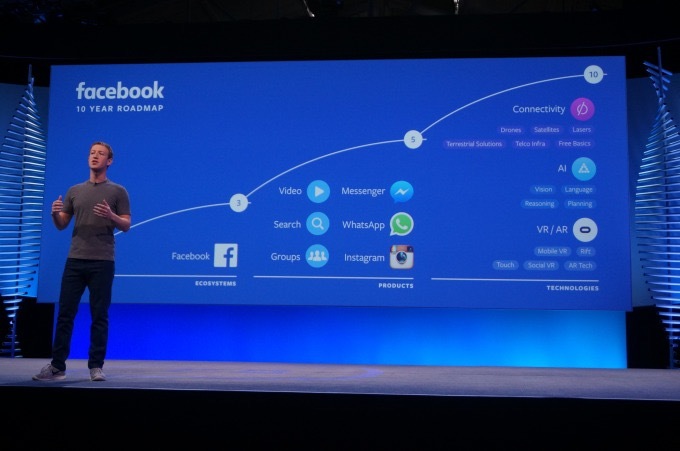 Everything said 19 million users, but Facebook hit 20 million in the days before the event. The company scheduled a “20 million users party” for a few weeks later, “but by then we had 25 million users,” Vora laughs. After running the conference all day where Facebook announced the Platform, the core team retreated to a nearby hotel’s conference room it had established as its “war room.” There, on a spotty Wi-Fi connection and patchwork of mobile hotspots, Facebook’s Platform launched. Within a few months, 7,000 apps had been built on the Facebook Platform. That number would grow to 33,000 in a year. In five years there were more than 9 million apps and sites integrated with Facebook. And now, after a decade, Facebook has paid out almost $10 billion to its app developers. “I remember talking to entrepreneurs in the weeks after F8 who were spending half of their day every day driving around trying to get whatever servers they could because they were experiencing so much growth,” Vora says. 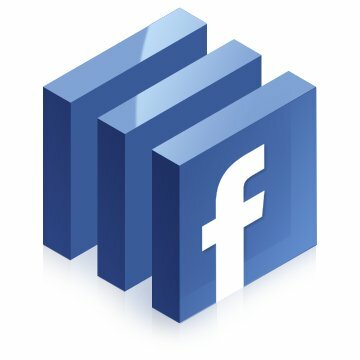 Stanford University even created a Computer Science class where students had to build Facebook applications. 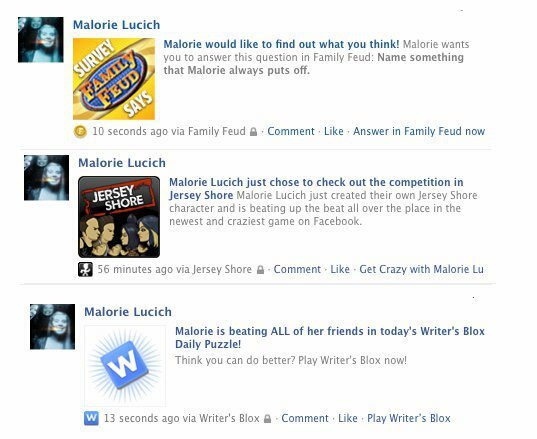 In 2008, Facebook opened the second wing of its Platform, “Facebook Connect,” which let third-party websites, from news publishers to utilities, offer Facebook login, personalization and instant sharing to the News Feed. Facebook effectively colonized the web, giving its citizens easy access abroad while funneling content back to the motherland. The Like button soon became Facebook’s calling card. But games also threatened to kill Facebook. What some considered playful socializing others found deeply annoying. Developers seized on the viral invite and request channels Facebook offered, designing their games to heavily reward users who sucked in their friends. You either spent hours and hours watering your make-believe FarmVille crops, paid real money to keep them alive or begged your friends to sign up and help you. “I thought it was really fun,” Vora says wistfully, showing the strength of Facebook’s cult Kool-Aid. “Remember with ‘SuperPoke’ we all just threw sheep at each other!?! Who knew that would bring so much joy. [It was] an interesting way to express your friendship with someone and bring just a little touch of lightness to your day.” Indeed; 60 million people ended up hooked on FarmVille, deriving some kind of value from the game. Zuckerberg eventually admitted half of Facebook might not want to see this content, severely curtailed its prominence in the feed and thereby dashed the growth dreams of some developers. Meanwhile, Facebook removed the entire Profile Box part of the Platform after profile customization ran amok and put the site in danger of becoming another slow-loading, buggy mess like Myspace. But this framework falsely delineates between the needs of users and Facebook. If developer spam drowned out the social content people came to Facebook for, the users would have a bad experience… but that would quickly lead to them leaving the social network, depriving it of fulfilling its mission and filling its bank accounts. This prioritization has kept users happy, Facebook earnings billions of dollars in profit per quarter and its Platform open to new waves of developers. But it’s also left a trail of dead apps and battered businesses. Zynga struggled as a public company after Facebook deleted viral channels that helped it get huge in the early days of the Platform. BandPage, makers of landing tab app for musicians’ Facebook Pages, was once the second-most popular developer behind Zynga and had just raised a $16 million Series B. 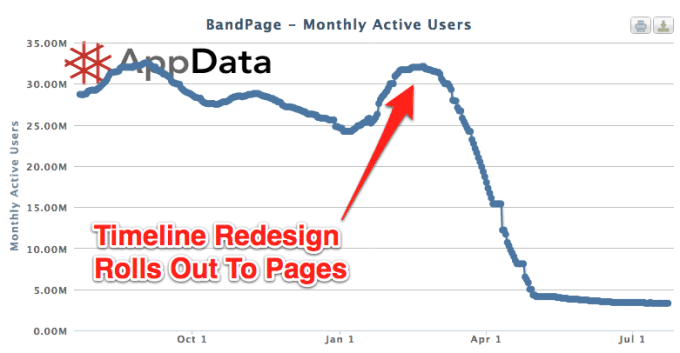 But when Facebook decided these landing tabs made the user experience “inconsistent” and suddenly shut them down, BandPage lost 90 percent of its traffic. It dropped from 35 million active users to 3 million in a few months, and after several failed pivots was sold to YouTube in a fire sale for a fraction of the cash it had raised. Yet Vora and Archibong repeatedly defended the limitations and changes to Facebook’s Platform as consensual. “I think most of those folks also understood, and were excited about the power they had gotten from the Facebook Platform. iLike woke up the next morning with 50,000 users, which was something they never expected,” Vora recalls. She doesn’t mention that iLike withered after the Profile Box was shut down. Facebook would spend the next few years trumpeting its “Operation Developer Love,” where it tried to give app makers more warning about big changes on the roadmap and work with them more closely to ensure they were earning enough to validate the engineering time they poured into the Platform. Facebook ended up reducing the number of music stories in the main News Feed and removing the side “Ticker” that embarrassed people by sharing their guilty pleasure rock-outs with everyone they know. When Facebook decided stories about users opening click-bait articles in Open Graph News Readers weren’t valuable enough, it downranked the apps, traffic dried up and publishers abandoned that part of the platform. On the other side of the spectrum, that same year Facebook tried to launch its own HTML5 mobile web app platform. It had been shut out of charging the same 30 percent tax on game payments it did on desktop computers when users shifted iOS and Android devices. But this time Facebook gave developers too few growth options, and weary from its past waffling, they never adopted Facebook’s “Project Spartan,” and that Platform dried up. Most recently, Facebook’s Instant Articles promised a publishing platform that would drive more traffic for news outlets that host their content inside Facebook’s app so it loads faster. But Facebook’s iron grip on how publishers could show ads, email newsletter widgets, subscription sign-ups and their own design identity made the format a bad deal. Instant Articles essentially turned publishers into ghost writers, creating dumb content for Facebook’s smart pipes rather than deepening their relationships with readers directly. Facebook tried to loosen up, but now major outlets like The New York Times, Vice News and the Los Angeles Times have abandoned Instant Articles. Whether Facebook is getting better at managing developer expectations or it just holds enough power to offset some missteps, it’s managed to keep its Platform well-populated. And now Facebook is expanding the definition of “developer” to include brands, small businesses and more.